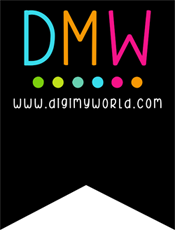 Digi My World: Pumpkin Poop ! Hi Everyone its Michelle from Scrappin With My Bug ! It's my day and LAST day here at Digi My World ! She is ending the design team but I will still post using her files on my blog ! Today I made Pumpkin Poop !!! I used the NEW Kawaii Nerdy Halloween as a print and cut File. 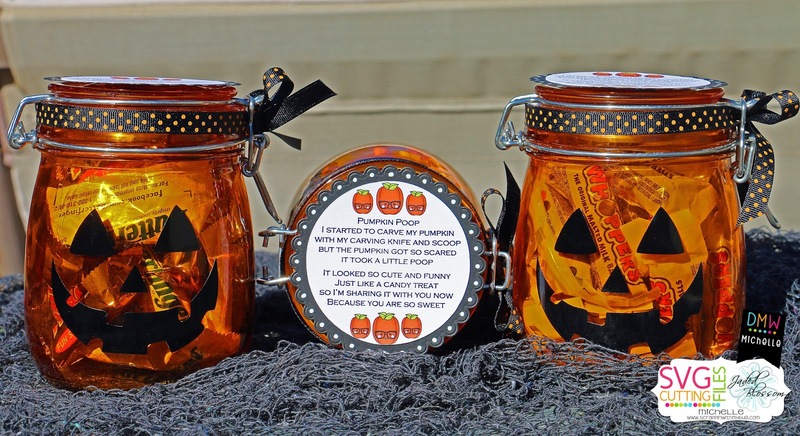 I used it in Silhouette after I measured the size of my Jaded Blossom Pumpkin Poop Stamp ! I found... well ok my friend found then I had to rush out and buy them these cute jars at Target in the dollar spot ! Thanks sooo much for checking out my project !! !